OLD PARKED CARS. : 1979 Buick Century Custom Fastback Sedan. 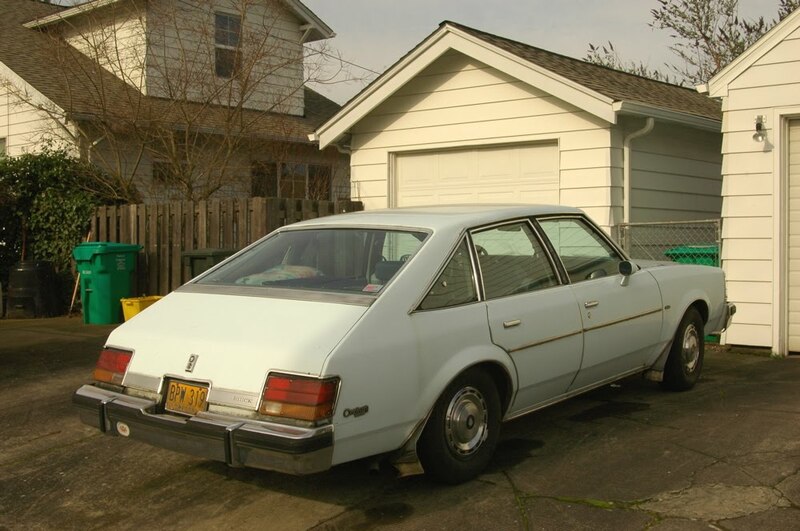 1979 Buick Century Custom Fastback Sedan. It's a Fastback, not a Hatchback. The Century (and twin Cutlass Salon) had regular trunks. fair enough, mike. thanks for the input. This car is one of the most awkward designs to come out of GM. 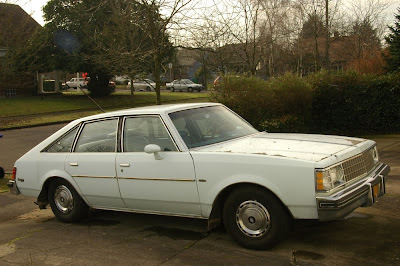 Don't try to role down the rear windows either - for some strange reason GM's A-body cars didn't have that option from '78 to '81. "designers? pshh, who needs em. here, lemme show ya. got some scotch tape? just take the front of this car... and the back of this one... anddddd voila! new car! somebody hand me a cigarette." The flatness of that face is really clashing with the rest of this wacky shape. I can't tell which angle looks the funniest. Neat car. Dumb design on the rear windows. All G-body sedans til the end ('85 or '86?) had stationary side windows. GM supposedly did this to increase elbow room in the rear. Smells more like the bean counters in action to me though. The vent windows on the rear doors did twist open though...when you ordered power windows, these vent-windows were actually motorized. Odd. After a long list of Chrysler products, my dad bought a nearly identical '79 Century - except in metallic medium brown with lighter brown vinyl interior. It was pretty basic with color-matched steel wheels and dog dish hubcaps. Why? Consumer Reports recommended it. That's a mistake he wouldn't make twice (buying a GM product, and listening to Consumer Reports). 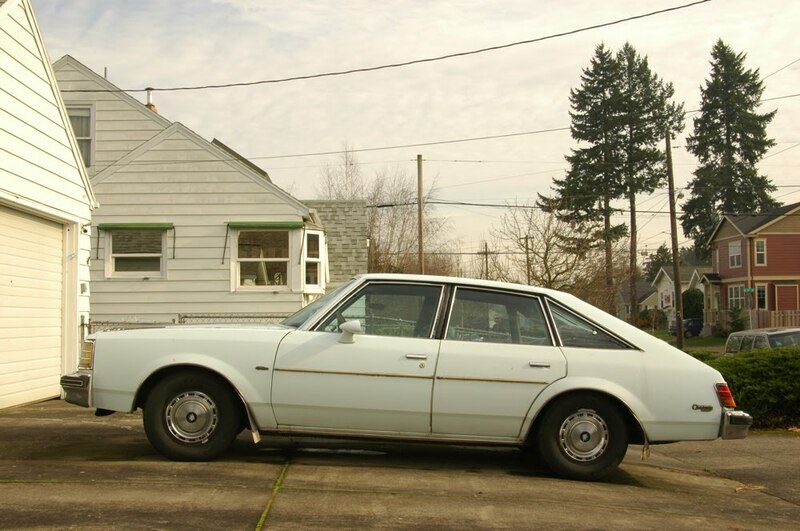 In need of it's third engine at 83000 miles, it was traded for a nearly bullet-proof Plymouth Gran Fury.